I have one more post that wants to be written about my yoga practice – I can’t promise that it will be the last, but I am certainly on the tail end of it :). The other day, I wrote a wrap-up article for The Yoga Lunchbox about my 40 days of yoga experience. 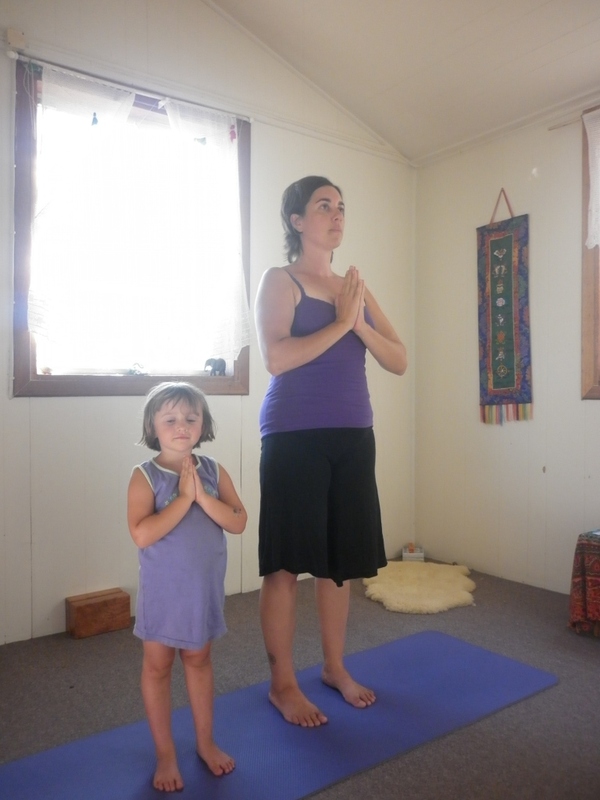 Before publishing it, Kara-Leah asked me if I had any photos of myself doing yoga in my space that she could add to the article. The idea was a little confronting to be honest, because yoga is such a private thing for me (yeah I know I blog about it, but that’s my thoughts, not pictures). Still, I thought I’d have a go – the worse thing that could happen was that all the pictures were rubbish. Welcome to my yoga room! Is this a yoga pose Mum? 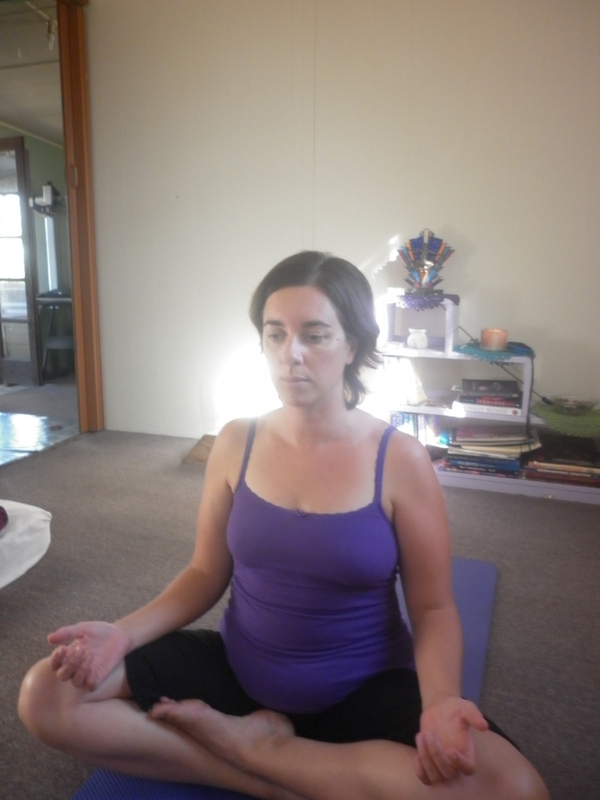 Previous 40 days of yoga – cycles within cycles. Hi Sara, I have loved following your 40 day journey and have found it to be so inspiring. 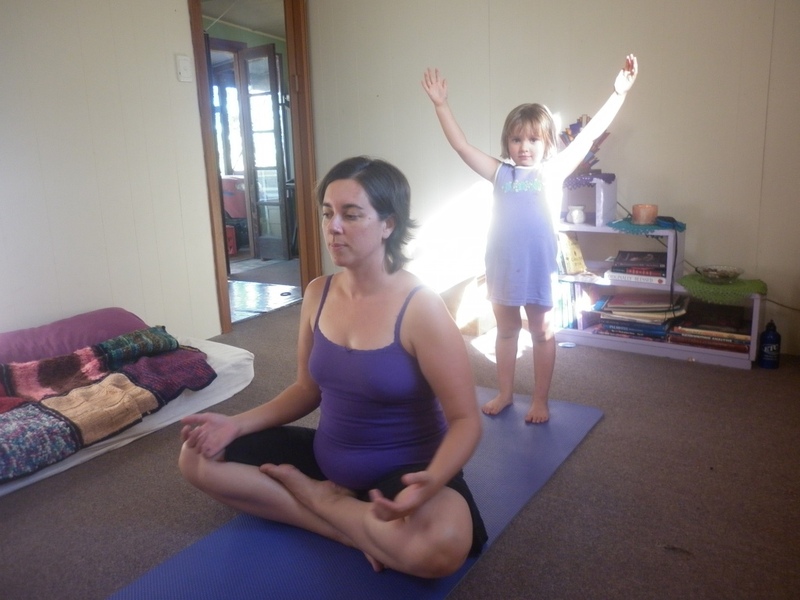 Like you, I have small people in my life and was of the belief a home practice was too tricky. If I couldn’t have the perfect space, the perfect level of quiet and no interruption, it wasn’t going to be a real practice. Through your honest and engaging writing I’ve had quite the epiphany about a home practice. About yoga in general really! So, thank you from the bottom of my heart- are you sure you’re coming to the end of your blog writing? It’s really, really marvellous! Thank you so much. Your words have made my day :). I will still blog, but I used to write about other things as well as yoga, and I will be going back to that (although i am sure that yoga will make a regular appearance). btw: still can’t comment or like, without logging in all over again… when I’m already logged in. Seems like a setting glitch? Hmmm strange. I wonder how many other people have this problem. Nobody has mentioned it before. I’ll have a look at the settings. Thank you by the way! Rufina, you crack me up! Great space, Sara! Your daughter is adorable! Those pictures are so adorable!!! totally made me smile… I wish you could come help me do yoga or me come to you… I have never taken a class because I have not found a total novice class, do you recommend a good dvd? I enjoyed this post a lot. Hi, thanks for dropping by :). I don’t use dvds, but I have heard that Rodney Yee has great yoga dvds for all levels, from beginner onwards. I have a book of his, and I love his philosophy. I also use the internet a lot – try this: simple neck and shoulder sequence the internet is such an amazing resource. For example, I just typed in ‘yoga sequence for sore neck and shoulders’ to find that. A good book is handy to show you all the poses and instruction for how to do them. Good luck! thank you so much for the info… I will check into all of it! I always seem to have a sore neck and shoulders so I am going to search it… thanx for taking time to share this with me… very much appreciated.